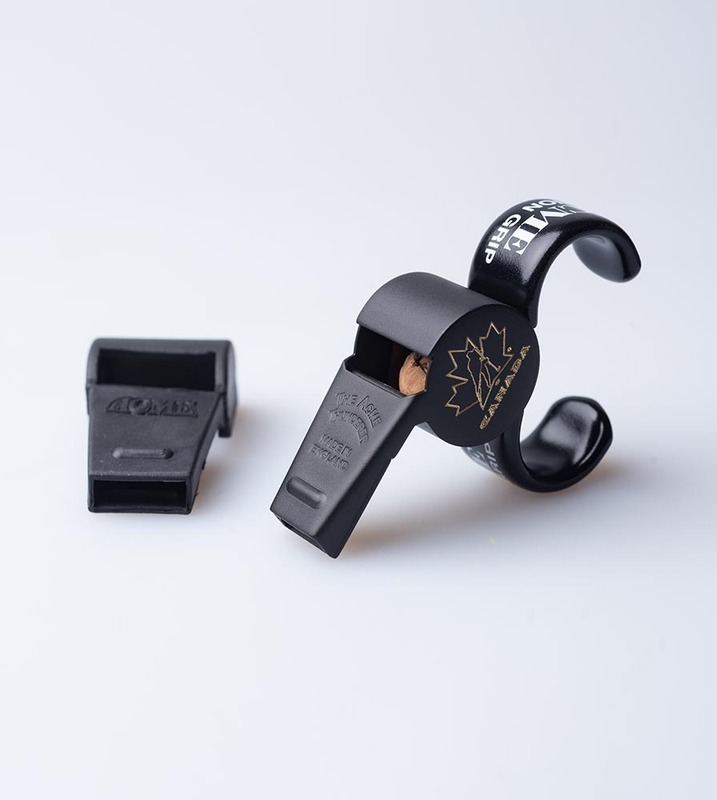 Large whistle with adjustable finger grip and tapered mouthpiece, low pitch, includes a gator grip mouth guard. Good for many coaches, especially for swim coaches. Has been used by asthmatics.